Does bamboo make you think of those loosely tied bamboo poles used to cover up unsightly items or to create privacy as a cheap, quick short-term solution? The challenge in 2018 is to help people “rethink bamboo”. Today bamboo is specified in construction from building to interiors. 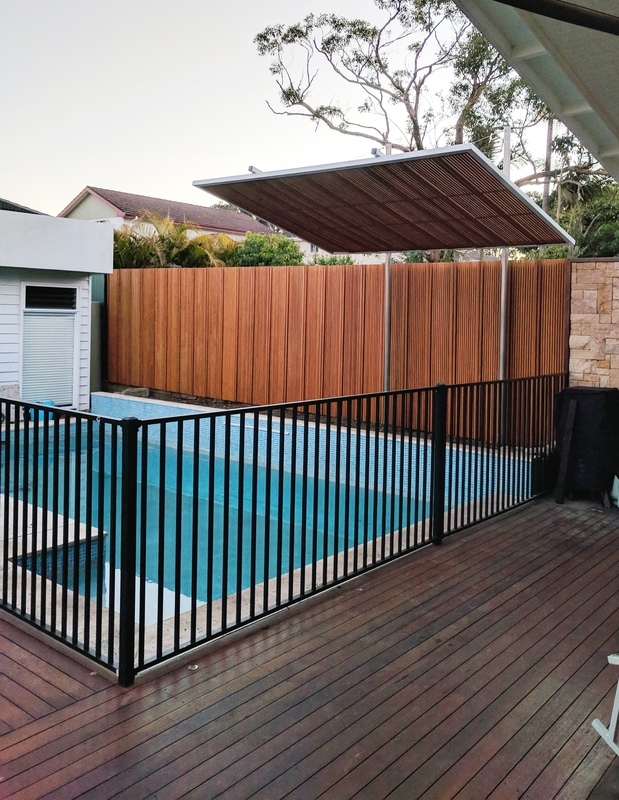 It is largely used to improve the overall look of existing homes or new developments… From external applications of fencing, privacy screening, shading and cladding to internal walls, ceilings or joinery. With the aid of technology and the increased desire to use sustainable materials, investment has gone into the production and development of bamboo to be used in the building and design industry. Almost anything you can produce with timber can be produced with bamboo. The major difference is that engineered bamboo is by far a more naturally sustainable material. Engineered bamboo is simple and elegant. The modular systems can be used either vertically or horizontally as screening or ceiling panels and allows for ease of installation. There are closed private designs using innovative bamboo boards and veneers which provide a rich textural dynamic that embraces simplicity in design. Some designs also provide the added benefit of acoustic properties assisting in the much needed area of reducing noise. There are also open slatted designs that vary according to the level of privacy required. The inherent feeling of spaciousness in a contemporary space while still providing privacy is key. The design options really are endless with this modern, versatile material. Anything is possible!